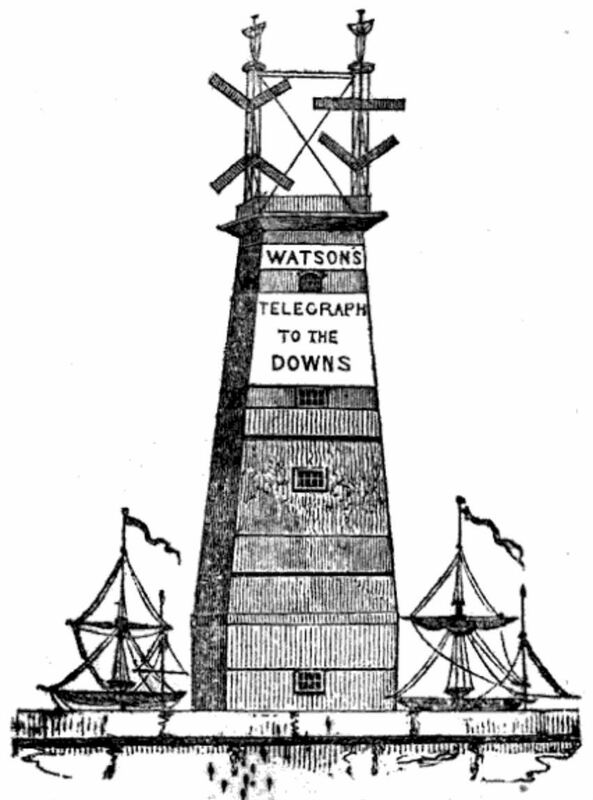 Yesterday, I posted this drawing of an unidentified lighthouse, and appealed to Twitter and Facebook for help in identifying it. 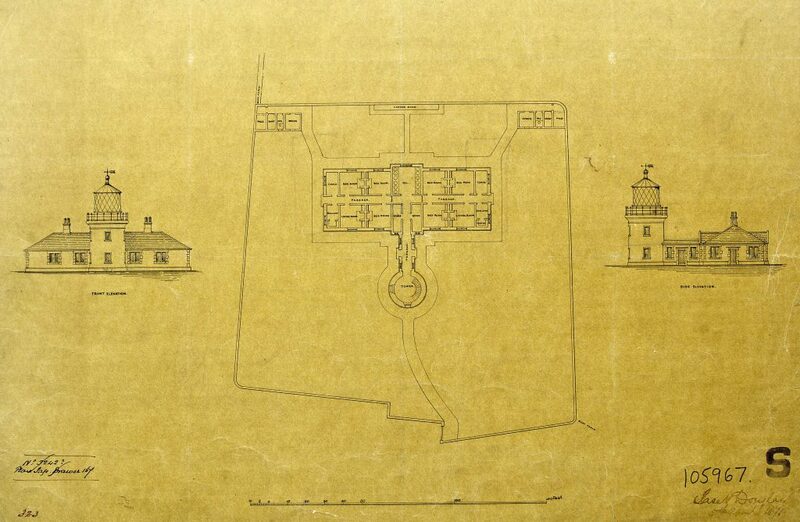 Plan and elevations of unknown lighthouse, 1871. The drawing shows a site plan along with front and side elevations. We found it several years ago in a box containing plans of Bidston Lighthouse in the Mersey Docks and Harbour Board collection at the Merseyside Maritime Museum Archives. It is signed and dated Jas. N. Douglass, 5th April 1871. If my reading of the signature is correct, then the architect would be the famous James Nicholas Douglass F.R.S. 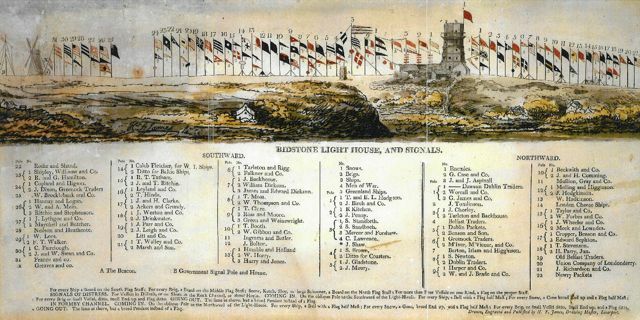 who built many important lighthouses for Trinity House, including the fourth Eddystone Lighthouse. Today, the mystery is solved, thanks to social media. 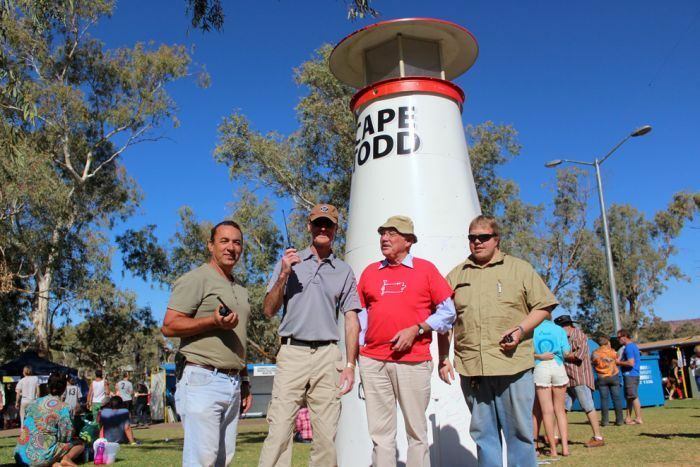 Facebook user Steve Kean was the first to identify the lighthouse correctly. It is St. Bees Lighthouse in Cumbria. Then Jay Gates found an aerial view that clinched the matter. 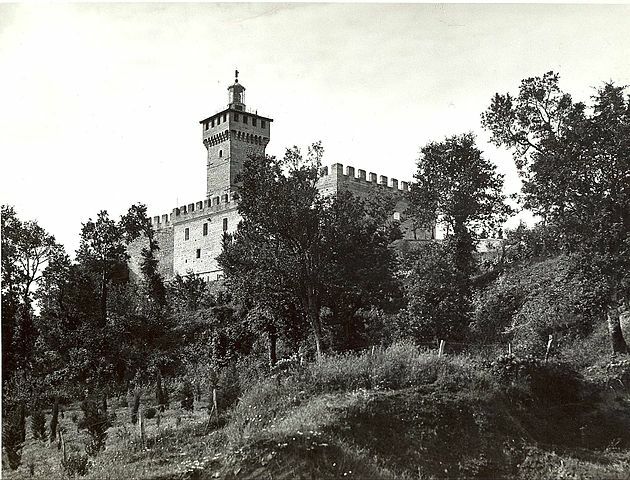 The distinctive kinks in the perimeter wall, the paths within the lighthouse compound, and the location of the buildings and outbuildings all match perfectly. Even the annotations “Fence Bank” on the drawing make sense once you realise that these describe features that are clearly visible in the aerial view. It’s astonishing how little St Bees has changed in 145 years. A little research reveals that St Bees was re-built in 1865 (although, strangely, Trinity House’s page on St. Bees doesn’t mention this at all). 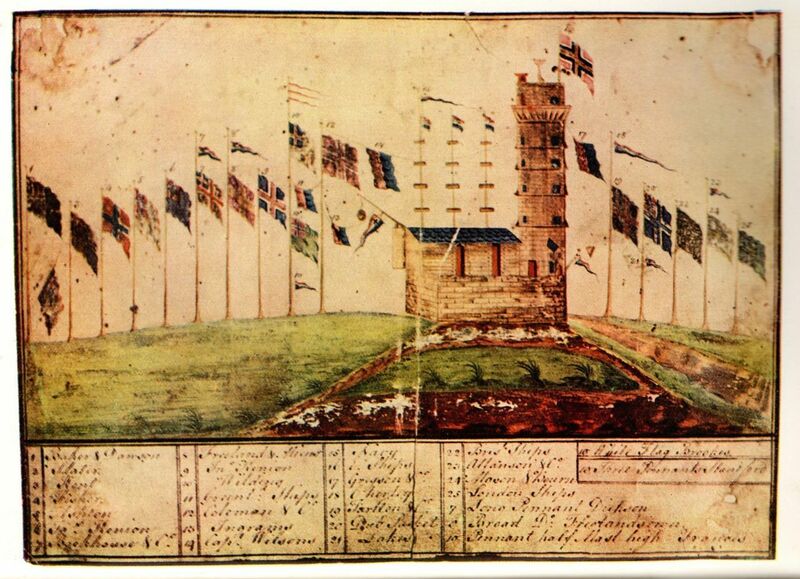 So how did a drawing of St Bees Lighthouse come to be filed in a box of drawings pertaining to Bidston Lighthouse in the Mersey Docks and Harbour Board collection? Here is one possible explanation. In 1871, George Fosbery Lyster, then Engineer-in-Chief for the MDHB, was planning a replacement for the first Bidston Lighthouse. 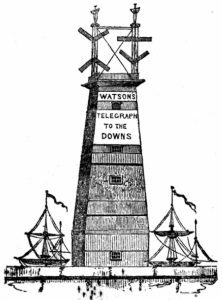 He would have been aware of the new (1865) lighthouse at St Bees, and may well have written, one engineer to another, to his counterpart James Douglass at Trinity House requesting a drawing. 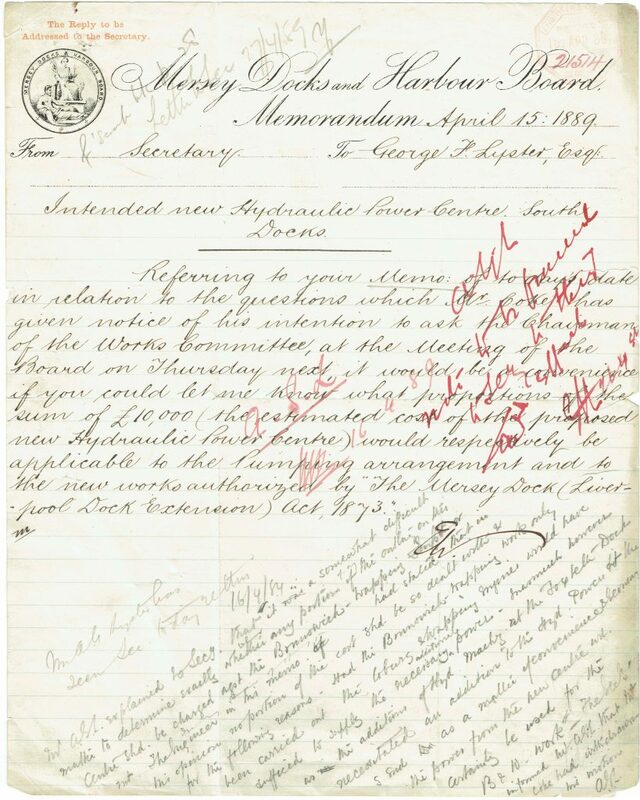 Then Douglass’ office prepared a drawing, perhaps a copy of an existing drawing or perhaps a fresh one, which was signed off by Douglass and sent on to Lyster’s office. 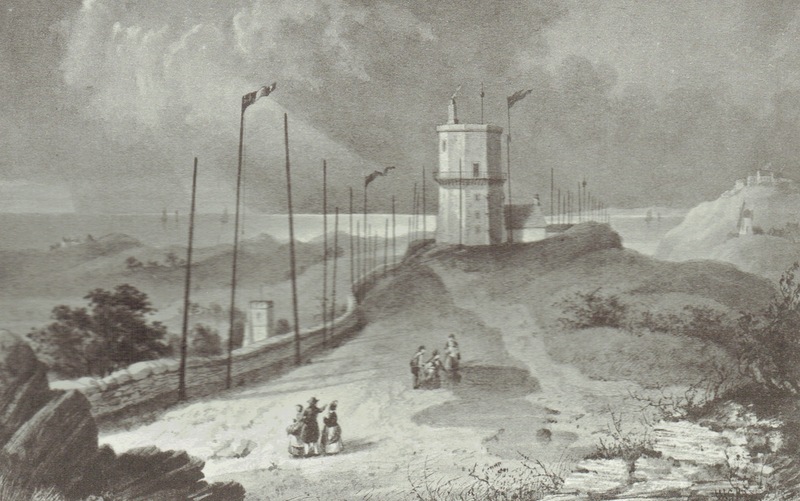 It may have inspired some aspects of Lyster’s own 1872 design for the new Bidston Lighthouse. 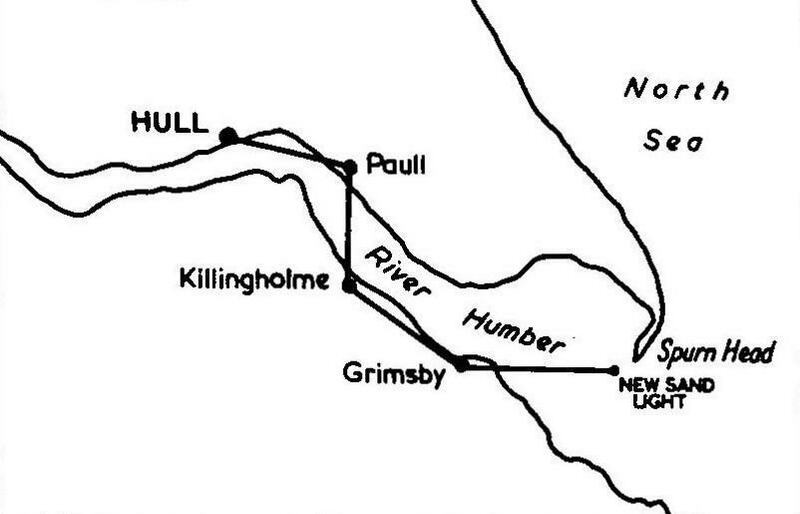 The layouts of Bidston and St. Bees do have much in common, but Lyster gave Bidston’s cottages a third wing, as Bidston needed three keepers to look after the telegraph as well as the lighthouse. Then, it would be natural for Douglass’ drawing to be filed away with the rest of the Bidston papers, where it stayed until the MDHB collection was deposited in the archives many years later. This doesn’t necessarily mean that James Douglass was the architect of St. Bees – he could have just signed off a copy of an earlier drawing by someone else. 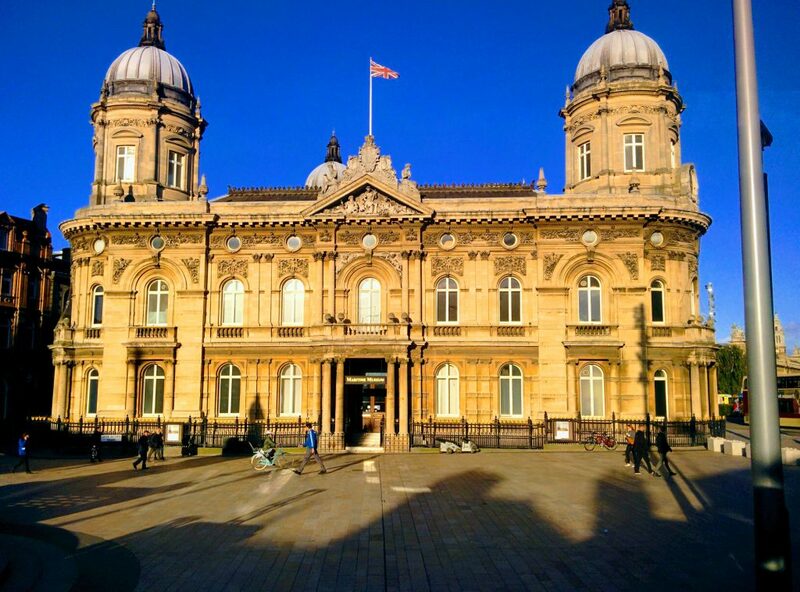 However, he had been Engineer-in-Chief of Trinity House since 1862, and even if someone else did draw up the plans for St. Bees, it was Douglass who was ultimately responsible. I then turned to email, and wrote to Neil Jones at Trinity House, and to the Cumbria Archives Service (since they have some of the best on-line resources about St. Bees). Next morning, my inbox held a reply from Neil Jones confirming that the drawing is indeed of St Bees, and that it is most likely a tracing or copy of an earlier drawing. At this point, I left my investigations for a pleasant Maritime Heritage conference. 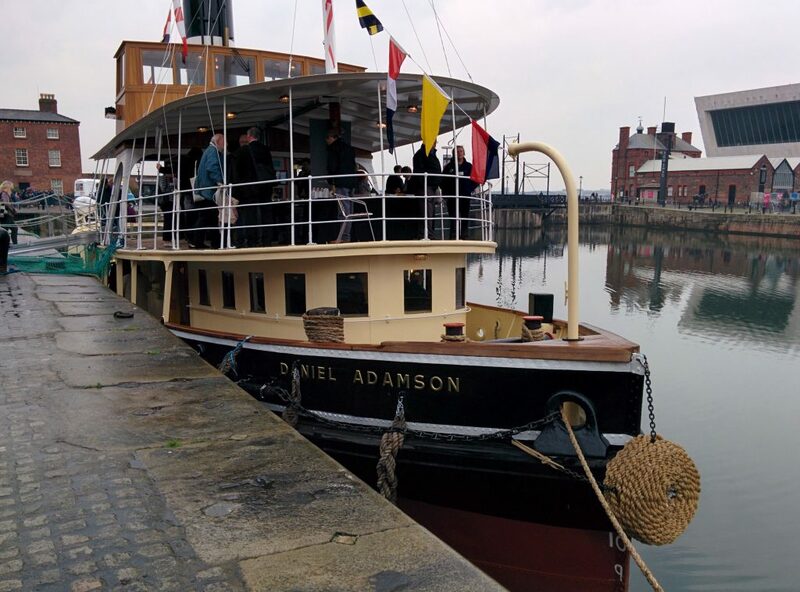 Proceedings started aboard the newly re-launched steamer the Daniel Adamson at Liverpool’s Canning Dock. I can confirm that the plan attached to your email is indeed St Bees lighthouse. The plan matches exactly with modern site plans we have in our collection, and photographs of the front elevation confirm its identity. 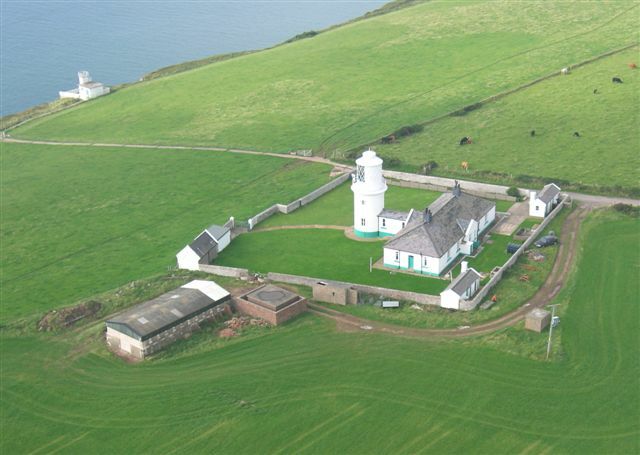 There is plentiful historical information regarding the old St Bees lighthouse scattered around various collection we hold here and at Carlisle Archive Centre. However information and plans relating to the rebuilt lighthouse is held at our reference YGLA/1 and spans 1962 – 1989 only. I have not seen the attached plan before and it is a delight to see it. Although I can confirm the plan is definitely St Bees, I cannot throw any light on how the plan came to be where you found it, but your theory is quite plausible. I cannot thank you enough for bringing this fascinating plan to our attention. I barely managed to contain my excitement. I waited for the opportunity for questions at the end of the talk, determined to share my social media success story with the audience, whether they wanted to hear it or not. No such opportunity came, as we were running behind schedule. By the time of the closing discussion the moment had passed. All of which leads me, at the end of a most pleasant day, to write this post. Needless to say, I shall share it on social media. Stephen, at Bidston Lighthouse, with thanks to Michael Vicente (photographer) and my wife Mandy for finding the drawing in the first place; to Steve Kean, Jay Gates, Neil Jones at Trinity House, and Lesley Park at the Cumbria Archive Service for their help in identifying it; to the Daniel Adamson Preservation Society and the Maritime Heritage Trust for a great conference; to Jamie Davies for talking about social media at that particular time; and especially the Merseyside Maritime Museum for the parts it played at the beginning and the end of my story. 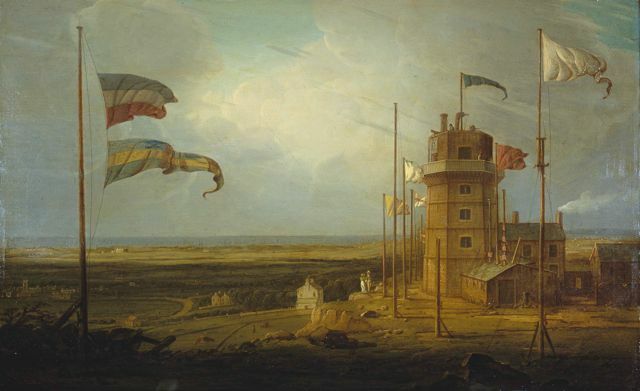 This entry was posted in History, Lighthouse, News and tagged BidstonLighthouse, Douglass, Heritage, History, Liverpool, Lyster, StBees, Trinity House on 11th May 2016 by admin. On this day in 1862, the CSS Alabama – Merseyside’s most famous contribution to the American Civil War – set sail from Liverpool Bay. She would go on to have a remarkable career raiding Union merchant ships. Her voyage began in the most exciting of circumstances. An apparent series of sea trials turned suddenly into a dash across the Atlantic, foiling the US Consul’s attempt to get her impounded under the Foreign Enlistment Act. 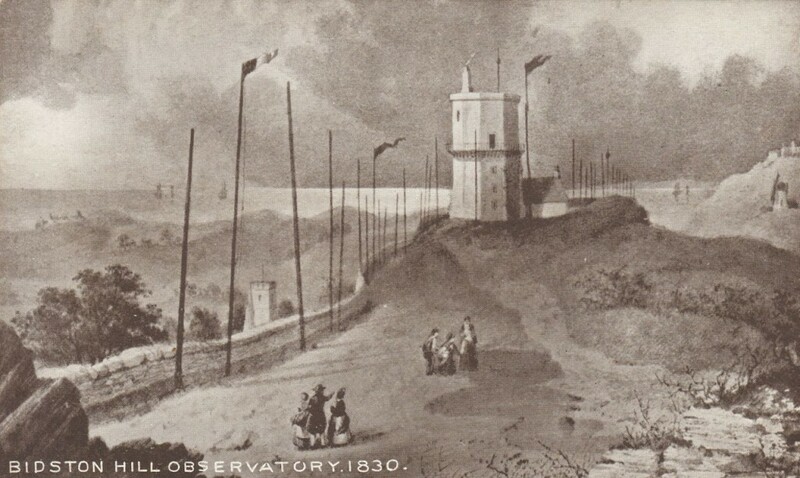 An observer at Bidston Lighthouse would have seen the Alabama sail to and fro between the Bell Beacon and the Northwest Lightship until, instead of returning to port to let the Liverpool crew and their sweethearts ashore, she disappeared over the horizon near Great Ormes Head. Guest writer J.R.W. Davies has written this excellent article on the subject. 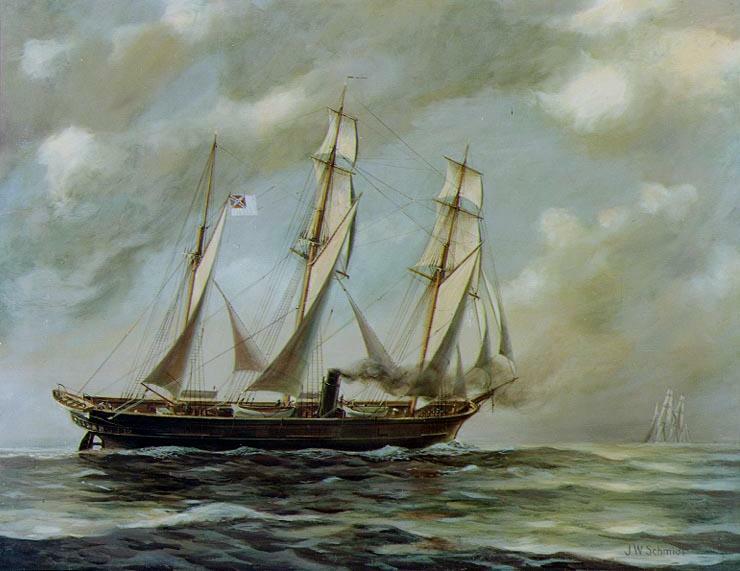 “CSS Alabama” from the US Navy’s Naval Historical Center, licensed under Public Domain via Wikimedia Commons. 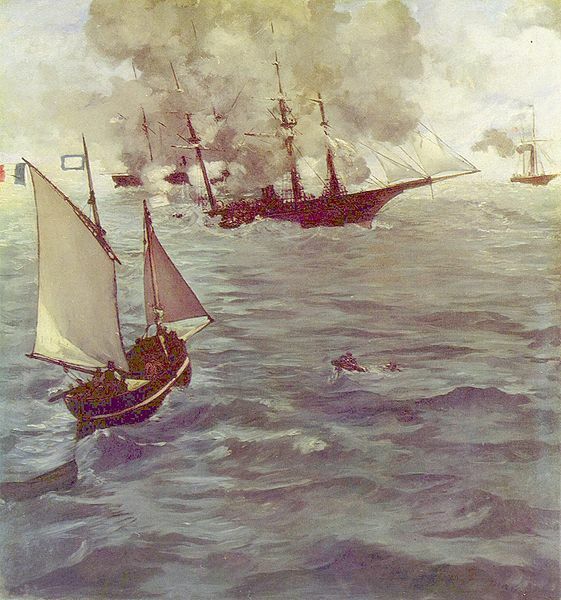 This entry was posted in History, News and tagged AmericanCivilWar, CSS-Alabama, History, Liverpool on 29th July 2015 by admin.